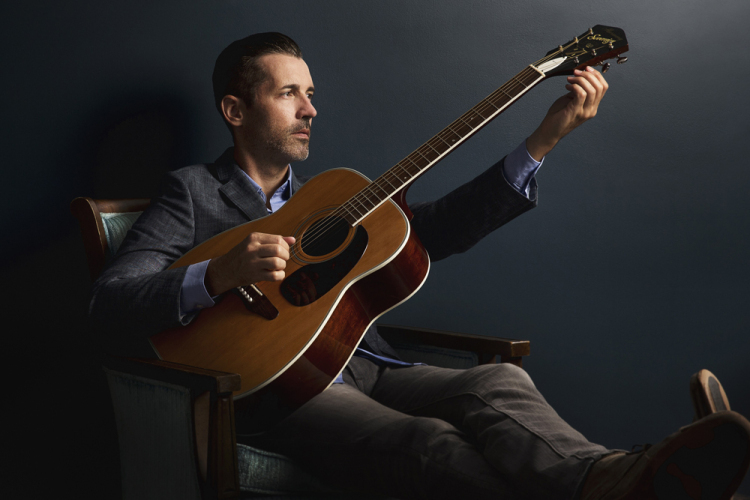 Canada’s own Royal Wood is back with his new album, Ghost Light, out April 22nd. Wood released the album in the midst of his ongoing Canadian tour, which includes a special album release show at Ottawa’s NAC South Hall on May 6th, followed by shows at Toronto’s Danforth Music Hall and three nights at London, ON.’s Aeolian Hall. In our new interview, Wood discusses his new LP, with which he collaborated with artists like Hannah Georgas, Felicity Williams, Rose Cousins and Alanna Stuart, his fashion philosophy, his Bay St. beginnings and more. You said the making of the “Long Way Out” video was spent with old friends and that you were proud of the outcome. Can you share a bit of that experience behind the scenes with us? The director was a guy named Byron Wong, and Byron, him and I go back at least ten years. He’s someone I had originally demo’d some music with and introduced me to a lot of people in the industry. We became very good friends pretty fast. He’s the kind of guy who would lend microphones and gear. He’s one of those immediate family members, who just end up being family. That in itself put me at ease for the day, because I knew it was in Byron’s hand and he’s the kind of guy, that there’s expectations that are set when you make a video and there’s a budget that you have and he’s the kind of guy who gives you three times what you expect you’re going to get. He’s just [got] that kind of work ethic. Following and watching his career over the last decade, he’s worked with incredible artists, actors, entertainment companies, and he’s built almost an empire for himself. It’s been great watching that. It was just one of those days. A really great crew, lots of laughs. It didn’t feel like a typical video shoot, it felt more like a day spent with friends. That’s cool, it must be fun when it happens like that, rather than actually feeling like work. Yeah, because in the course of my career I’ve made quite a few videos and it doesn’t always feel like that. Ghost Light comes out in a couple weeks and you’ll be celebrating the release with a show at Ottawa’s NAC Southam Hall, with the NAC Orchestra. What makes this specific show special? I’ll give that a three part answer if I could. The first being that I’ve worked the National Arts Centre for years now and they started me off in their studio theatre, which is a 300 person room or something and that was in 2011. I’ve gone back every 12 to 18 months, moved up to the next venue and sold that out, moved to the next, sold that out, and I built something in Ottawa that was as much to do with them as it was to do with me. I know every promoter there, every assistant, every stage tech and they’ve been along for the story in Ottawa with me, so it’s special. It’s a day that we feel like we’ve put five years of work [into] and now we get to do this thing that we’ve always talked about, since my first show. This is where they saw me and this is where they thought I was headed in my career and they had the faith in me to put their team behind me, so it’s very rewarding and very meaningful to finally have this show come up. Second part would be, when I was a kid, obviously you listen to music and you think about what you want to do when you grow up. There’s many things on my bucket list that I’ve checked off, but this will be my first time performing with a full symphony orchestra. I’ve written lots of charts for strings and horns for records and I’ve played lots of shows with string players, but never more than 12 players. To play with something this size, it’s everything. It’s the day dream, it’s a dream come true. The dream is now the reality. That’s a very big deal to me, for lack of a better word. In 2010 I stood on that stage and saw them all.. I was opening for David Gray, and this was before I’d even performed at the NAC with my own show. I turned to my guitar player as we walked on stage and said “within five years, I want to headline in this room.” You kind of just walk on stage and you’re like I want to do this. Now I get to say I did it, so that’s obviously something that means a great deal. Finally, it’s my band that’s been playing with me since 2006. They’ve worked just as hard as I have on the road. I’ve been to people’s weddings, I’ve helped people divorce, been there when they bought their home, seen people have their first kid, so this is again, a family affair. I guess it’s just one of those things that happens for an artist when they’ve been working in their career for almost a decade. You’ve built very close, personal, meaningful relationships and it concentrically grows. It’s not like punching a clock at a job you’ve never done before. Instead it’s very much I know you, you know me and [your] souls recognize each other. It’s something I’m very grateful for, that’s for sure. It’s all culminating into one show.